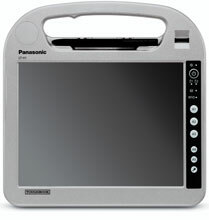 It is replaced by the Panasonic Toughbook H2. 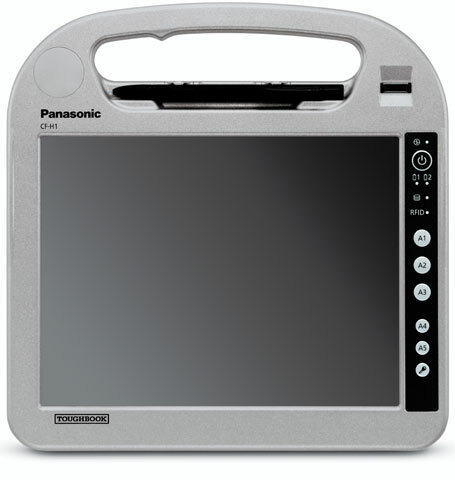 The Panasonic Toughbook H1 Field handheld tablet PC is engineered for extreme mobility. With a sophisticated feature set, the device enables a new level of productivity for highly mobile professionals. MIL-STD-810G (6-foot drop rating) and IP65-certified, the Toughbook H1 Field provides outstanding durability. Weighing only 3.4 lbs., the sealed device is highly portable and provides dependable performance in every environment. The 10.4" sunlight-viewable dual-touch display, which operates with either an electronic stylus (digitizer) or the touch of a finger, provides the utmost in convenience and versatility in field computing applications.